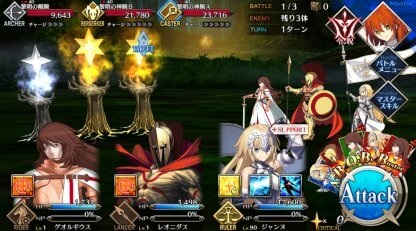 FGO(Fate/Grand Order) Beginner guide! You will find all necessary detailed explanation for starters. 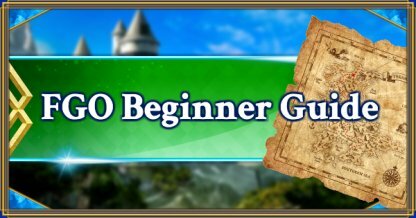 FGO(Fate/GO) Beginner tips, advices, basic information and more! If you are struggling how to start the game this article is for you! If you spent a summon ticket in Gacha after completing the tutorial and did not get a servant you are satisfied with, it is possible to reroll the game and try again! To do that delete and reinstall the game. Rerolling FGO one time takes about 15 minutes but it might be worth it for a smooth start. You cannot get a 5 star Servant from x10 Summon in the Tutorial. It may take days to get a ★5 Servant. Rerolling does not worth this time. The main purpose of Reroll is to get servants so that you can start the game smoothly. What is more, it is a lot of fun to play with your very first servant. In FGO you can obtain an Event Reward Servant during a Time-Limited Event by clearing all the Event Missions, for example. As it is often a strong servant Events are going to be your main priority. 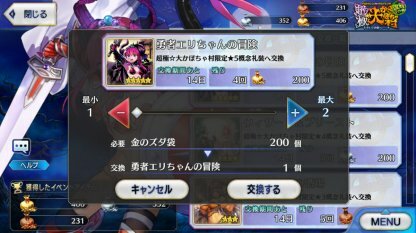 During Time-Limited Events you can easily farm materials necessary for the Ascension and Level of Servants. Of course, focus on a Reward Servant first and then go for materials. Sometimes Time-Limited Events have special requirements. It could be that a certain Chapter of the Main Story should be completed, for example. So, you should play the Story not to be left behind. For example, in order to participate in an Event held 2019 January 1「Main Record 2/Chapter 3」should be completed. As you will soon recognize most Events require the 1st Chapter to be completed. That is why it is so important to focus on Chapter 1 at the beginning. When you got stuck on a Time-Limited Event or a Mission, it is time to think about training your servants. As you do not have that many materials in the early stages, we recommend to start with low rarity servants who do not require much to be trained. 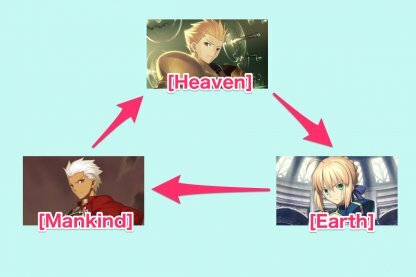 There is a Class Affinity among servants in FGO, which decides whether a certain servant is stronger or weaker against an other. Generally, a stronger class deals twice more damage to a weaker. Note that there is also an Extra Class as an exception. Received and Dealt damage is calculated in a similar way. It is not just about leveling up a servant, thus making him or her stronger. The Ascension and Skill levels are also matter. The best would be upgrading every aspect of a servant. ・Servant Skill Charge Time (CT) reduction. ・You need an item called "Holy Grail" for the upgrade. ・No need to think about it in the start, as it is actually possible to do it only for a limited number of times. Some of Enchantments require a lot of materials or QP(in-game currency) to upgrade. But it is difficult to farm that many Materials and QP especially in the early stages. The most efficient way to train your servants is to keep upgrading all aspects as possible. To increase a level of servant efficiently you need Embers that you can get from Ember Quests. You can find this Quest in Chaldea Gate section. Ember Class varies each day of the week. An Ember Class you can farm on Ember Quest depends on a day of the week. When you fuse an Ember with a class it is meant for you get 1.2 times more Exp. Every Servant in FGO has a certain role. There are often situations where a combination of 1-3 star servants is stronger than having 5 star ones. Therefore, you had better level up low level servants instead of focusing on the rarity. Even though the total cost limit of your party increases as you level up, you cant form a party where all servants have 5 stars. Hope, now it is clear why focusing on party formation is much more preferable to the servant rarity. There is a so-called hidden status, that is not shown anywhere in the game. For instance, there are some special「Characteristics」and「Traits」such as King or Divine. 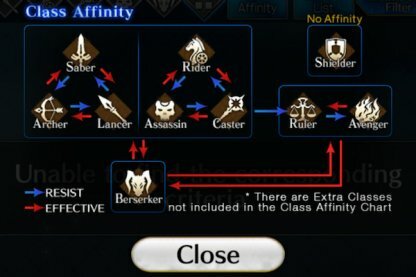 Besides the class affinity a Servant also has「Attribute」. 「Special Attack」is often depends on servants'「Alignment」. If you understand Alignment in FGO well you can easily do Special Attacks. Knowledge of Hidden Status will help you enjoy the game more. We recommend to check another article to learn more about it. Craft Essences are an important element of the game. 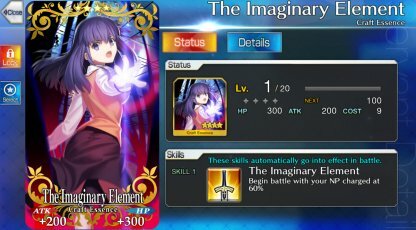 By equipping a CE you increase Stats of a servant and apply Craft Essence Effect. To MAX Limit Break you need 5 identical Craft Essences. if you fuse just 4 of them「CE Effect」will not be enhanced. Some of them become extremely useful in a battle after the MAX Limit Break. 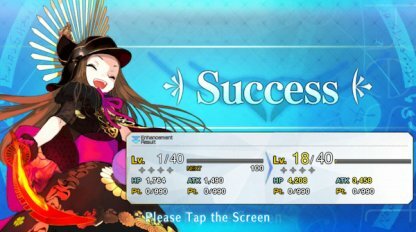 If you fuse 2 or 3 or 4 Craft Essences the「CE Effect」will not be increased. What is more, not all of them are really worth upgrading for the better「CE Effect」. So, collect 5 CEs first, and think about whether combine them or not later. finally you will get 1 MAX CE and 2 others. Play Gacha using Saint Quartz or get them as a reward from Events. Try not to miss Events as there are also valuable Craft Essences. You can also get 1~3 Craft Essences from Friend Gacha. All Craft Essences from Events are great without any exceptions. Try to get as many as possible for better upgrades. When a servant reaches bond lvl 10. Raise your servant's bond lvl up to 10 you obtain a so called「Bond CE」.An effect of a Bond CE depends on a servant and can be activated only when equip to its owner. As this method is time consuming it is not recommended in the early stages. 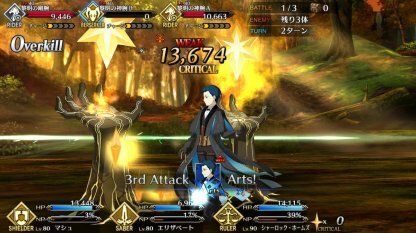 As in the early stages a level of your servants is low, CE aimed on stat enchantment are not that useful. 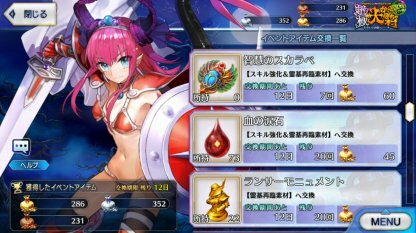 At that time you can benefit the most from NP Craft Essences. Any of these can be used during the whole game. Lock one as soon as you get it, so that you do not accidentally sell it. 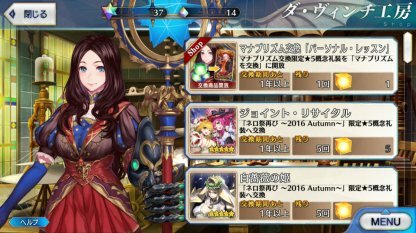 All of the Craft Essences above are easily obtained from Gacha as well as Events. In FGO battle system each turn you can choose and play only 3 cards out of 5 drawn. Although it may seem simple, but card combination and order can have a drastic effect on a battle. Card combination and order give you a certain bonus, knowing which you can make use of. 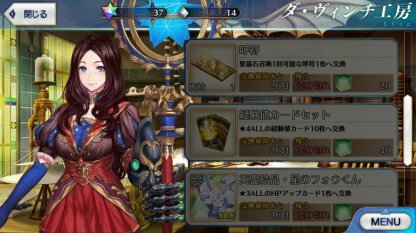 Besides, every servant has certain cards in an inventory, which you also have to pay attention to. 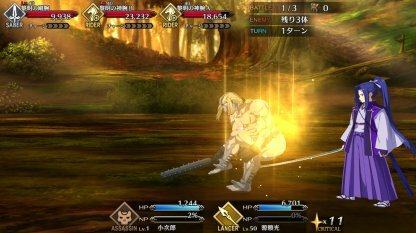 Critical Damage in FGO means an amount of damage and the NP charge are doubled. It is an important game mechanics that you always have to take into account when calculating damage. In order to do Critical Damage you need Critical Stars. The chance to deal Critical Damage depends on a total number of collected CSs. You gain 10% of Critical Attack Chance per 1 CS. Critical Stars are randomly distributed among servants. 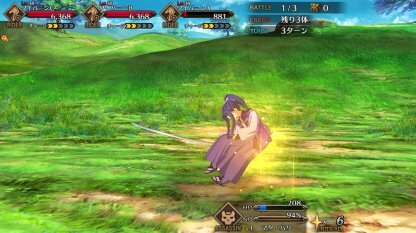 Some servant skills and CE have「Star Gather Rate」effect. Thus you can choose a servant who is going to be receiving Critical Stars that are normally distributed among a party members randomly. As a part of hidden status information there is the CS coefficient called「Self Star Gather Rate」which varies by a class. Consequently, when forming a party you can combine Classes who can easily gather Critical Stars with ones who cannot to reach a certain effect. You see, how the game knowledge is useful. If you understand his game mechanics from the very beginning, it is going to be easier for you to play. When forming a party take the class affinity into consideration. In other words the NP is a servant's Ultimate skill. It is a unique skill and its effect varies from dealing damage to enemies to ally buff. It can change the result of a battle and really helps with farming on Quests. In order to use the NP your NP gauge should be fully charged. Note that NP gauge can overcome 100%. 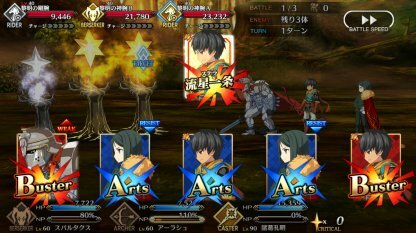 Basically, Arts Cards are the most effective to gain the NP. Some Craft Essences also have「Increase NP Gain」effect. Overkill means that you did more damage than needed to destroy an enemy, so that Enemy HP are below 0. During Overkill Critical Star and NP charge rates are increased. With Critical Attacks NP charge rate and star gathering rate increase, just like with OverKill. But you can double the result if you combine Critical Attacks with OverKill. Some Servants may help you realize this plan. 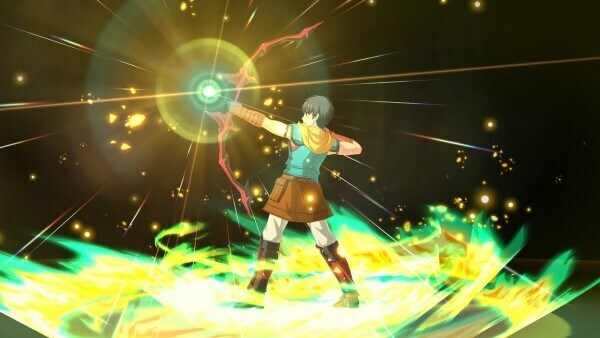 Command Spells are the skills that the master(player) can activate in a battle. We highly recommend 「Revive all party members when everyone’s incapacitated 」 as it is extremely useful on Quests. C. Spells have cost points (3 Max). 1 Command Spell Cost is restored at 00:00 every day. Since Command Spell Costs cannot stuck more than 3, you may want to spend at least 1 before the end of a day. it is ok to use them when you feel it is necessary. Well, the major purpose of raising Master Level is to increase Total Cost Limit to form a better party. But even if you reach 140 lvl (as of February 2019), you cannot form a MAX Rarity Party. By raising the Master Level you increase the maximum number of your AP that are necessary for doing Quests. Action Points are restores with time. So, if your AP limit is 100 and you do not play a game for a while, you restore more AP rather than you would having an AP limit of 10. That is another reason to reach a certain level. As you progress the story line your Master Level is going to increase quickly. AP also restore with time. So, enjoy the Story and have fun playing the game. Equipped Mystic Code determines which Master skills the player can use. Change it in accordance with/to your servants and Quests. 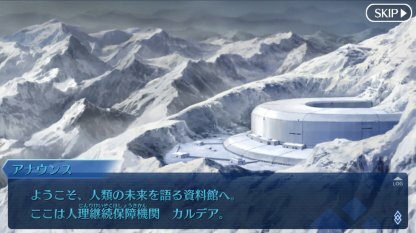 There is also a Mystic Code level, which can be raised by clearing Quests and gathering EXP while a Mystic Code is equipped. 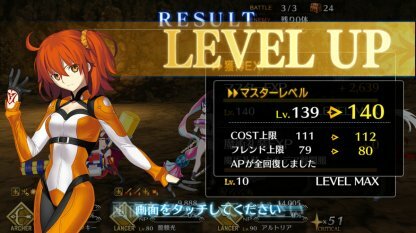 The number of EXP required for Upgrade depends on a Mystic Code. Without a Mystic Code you cannot do things like「Order Change」to swap Battle Members with Sub Members. A Mystic Code allows opportunities for more tactics during a battle. 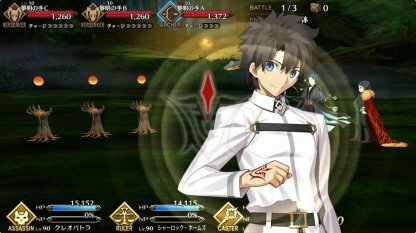 Mystic Code can be obtained from Chaldea Gate Quest or as an Event Reward. As it is something that matters in a battle, try go obtain one whenever you have a chance. 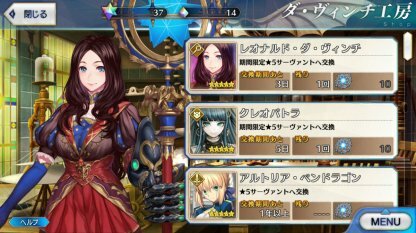 Mystic Codes obtained from Quests such as「Chaldea Combat Uniform」are all excellent! Try to get one as soon as possible. 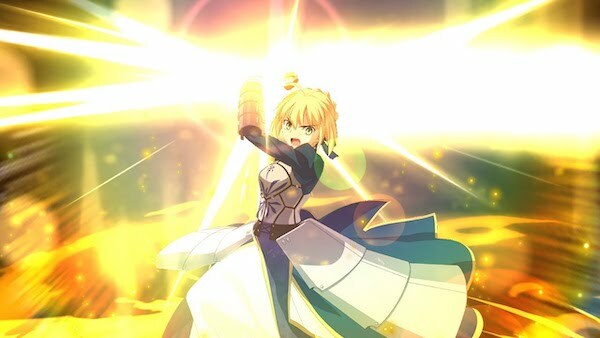 If you complete FGO Main Story you will get Saint Quartz necessary for playing Gacha. Besides, as you advance through the Story「Free Quests」where you can farm Servant training Materials will be unlocked. You should always do Time-Limited Events first whenever one is out. Time-Limited Event Servants and materials to upgrade your servants that you can get there will help you to improve performance on Quests. Most Events require you to complete a certain chapter and a mission of the Main Story to be eligible for participation. 「Mash」, servant that you obtain when you start FGO is going to get stronger and stronger as you make progress in the the Scenario. Especially after 6th Singularity, she can even handle the most difficult Quests. 「Story Cacha」depends on Main Story progress, not on time. New Servants will be added to Story Gacha as you complete Story Missions. When you got stuck with the Main Scenario it is time to upgrade the servants you have. Also check a class of the enemies on Quests you cannot handle and think over your Servant composition one more time. If Servants you have are not seem to be enough to complete a certain Quest, use a servant of somebody else. Keep in mind that you will not be able to use other people's servant NP unless that person accepts a friend request. Bosses from Chapter 3 and 4 and all enemies from Chapter 6 are known as really tough ones. Use your strongest servants and the help of a friend. If you still fail then keep trainings the servants. The main purpose of every Time-Limited Event is to get an Event Servant. If the Servant is officially added he or she will not disappear even after the Event is finished. In general, you can obtain 5 same Servants during an Event. 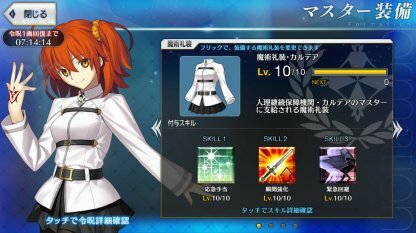 Thus, it is possible to upgrade the Servant's NP up to level 5. In case you do not know yet, level 5 NP makes a huge difference comparing to level 1. Comparing to Free Quests you can easily farm necessary for Enhancement materials during Events. You will also spend much less time and AP when farming on Time-Limited Events. You will see an item called Box during Lottery Events. It is the easiest way to get an unlimited amount of materials. Even though a servant you get there has ★4,「his strength is actually ★4.5」as FGO game developers say. Isn't it great to get a Servant somewhat close to ★5? 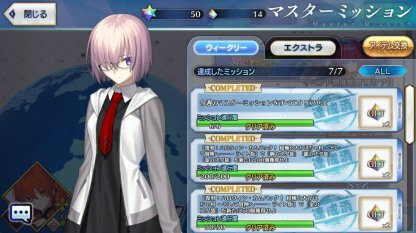 By completing Master Missions you acquire Saint Quartz necessary for Gacha. There are some Master Missions that are updated weekly. If you get 7 Saint Quartz Fragments from Weekly Missions you can exchange them for Saint Quartz. Mission contents often change in accordance with a current Time-Limited Event. The contents are updated at 00:00 every week. Keep that in mind. As you make progress in Main Scenario, Extra Missions will appear. You can get Saint Quartz there. Especially, if you clear all Chapters you can obtain a lot of Saint Quartz. You will get Prisms by burning a servant who has 3 or more stars. Yes, Prisms are a great item, but exchanging everything for Prisms is not going to help you that much. In case you already did that, we recommend spending everything on the NP enhancement. In general, we do not recommend you to sell anything until your ★3 servants reach the NP level 5. As for ★4 servants, they are more likely to be already strong enough and raising their NP lvl will not be that much noticeable. You can exchange Mana Prisms for various items in the shop. For example, there you can buy a Ticket which is used to play Gacha one time. The storage is updated every month or with Events. 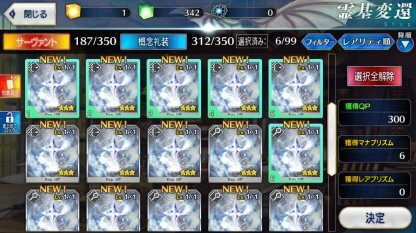 Mainly you get Mana Prisms by burning a Servant with 3 or more stars. Also, they can be acquired during Events as a reward. Another way to get Mana Prisms is to burn Embers with the rarity of 3 stars or higher or Craft Essences. You can exchange Rare Prisms for a Limited CE which was available only during an Event and some other items. You can get Rare Prisms by burning a Servant of 4 or more stars. They are also obtained by selling 4 star Embers and Craft Essences. Although there are many attractive items, but there is no need to go crazy with Prisms. In Special Summon you can obtain a servant who is currently there. You are going to need 10 Unregistered Spirit Origins for that. Some servants there are shown for a limited time, but you obtain it permanently once you make an exchange. To get one Unregistered Spirit Origin you have to burn 6 same 5 star servants. That is why chances to get one are really low. Almost all of the items available for the Prism exchange are amazing. If you have one of those, you are more likely not a beginner anymore. Other masters' servants cant use their NP until your friend request is accepted. In the beginning having a servant who can use the NP is really helpful. If you use servants of masters who are not your friends yet, after a Quest is completed you will be able to send a friend request. When other players use your servants you get Friend Points which are used to play Friend Gacha. So, both players win. 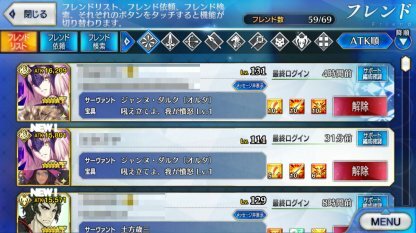 During Time-Limited Events there are usually「Attack Bonus Servant」that have an increased attack and「Event Craft Essence」that increases a drop amount. Friend Servants may also have this effect! You can follow a player even if he/she does not accept your request. Thus, make use of the NP of other players' servants. The follow option is available only during Chapter 1 of the Main Story. As even advanced payers receive Friend Points, Friend Request from enthusiastic beginners are welcome! Don't worry about the level gap, feel free to send a request to anyone!